The Mazagan Beach & Golf Resort, Morocco, is about an hour’s drive from Casablanca. 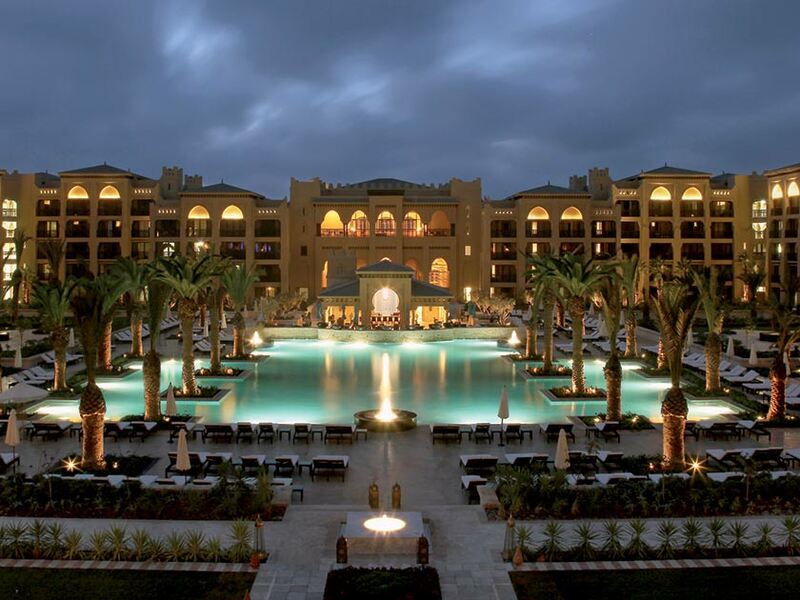 This palatial resort is located in El Jadida, a port city on the country’s Atlantic coast. Built in 2009, the decor has been designed in authentic Moroccan style, from the mosaic floors to the ornate lanterns adorning the ceilings. The resort offers plenty of activities. However, it was the spa facilities that interested me. I tried the Hammam first. The ladies-only area combines a soothing steam room and a relaxation area where you’re served traditional tea. Feeling fully cleansed after the Hammam, I wrapped myself in a fluffy white dressing gown and had a one-hour full-body massage. It was pure bliss; I floated back to my room that night and enjoyed the best sleep I’d had in ages. Mazagan has everything you’d expect for a five-star resort. There are a variety of restaurants to choose from, including a beach barbecue in the summer. In mid November, when I went, the resort felt very tranquil. At The Mazagan Beach & Golf Resort, Morocco, guests have complimentary access to the Hammam but treatments are priced separately.